A well-prepared transcript is essential for college and scholarship applications. One of the key elements of a high school transcript is the GPA, or grade point average. What is a Grade Point Average? If you and your student have been looking at college applications, you’ve no doubt noticed that all ask you to state the cumulative GPA that the student earned in high school. This number is meant to represent your student’s overall academic achievement and helps colleges determine which students qualify for entry and institutional scholarships. All GPAs are based on a four-point scale, which means that a 4.0 GPA shows straight-A academic achievement. 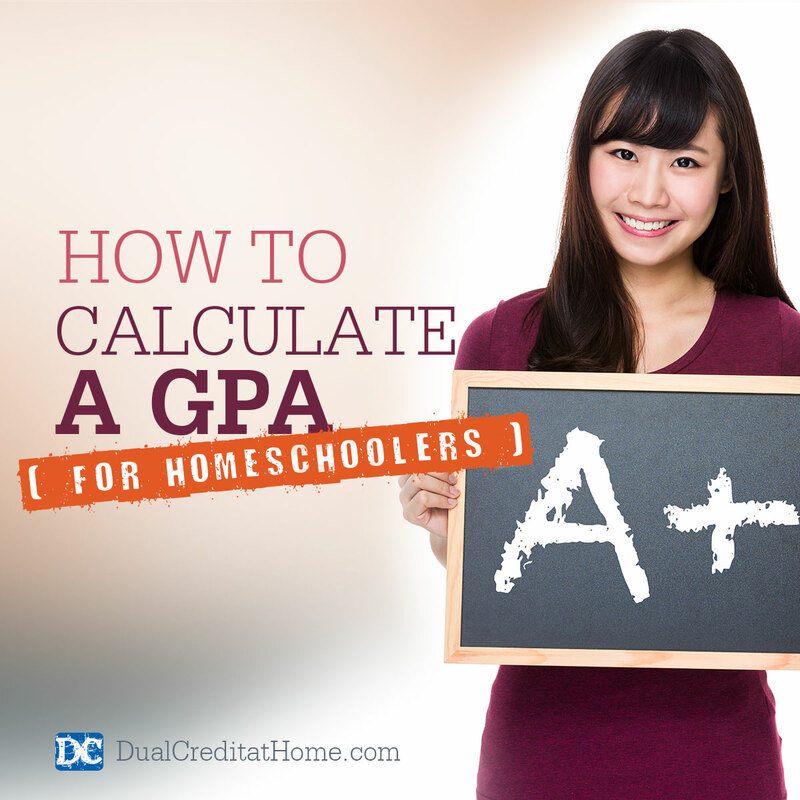 Some homeschoolers choose to calculate half or quarter points for grades. For example, an A- would earn 3.75 points and a B+ would earn 3.5. However, this method can be very confusing. That is why many homeschoolers and public high schools assign a 3.0 value to a B+, B and B-. In order to calculate a GPA, you’ll need to determine the number of credits that each course is worth. There are many resources online that can help you do this. You’ll also need to assign a final grade for every course your student has completed during a given semester. Convert your student’s grades into numerical values. For each class, multiply the student’s numerical grade by the number of credits the class is worth. Once you’ve done the math for all courses, add all of your answers together. Divide your answer from step three by the total number of course credits your student took. This is the GPA for the semester. At the end of each year, you’ll average the GPA from both semesters to determine that year’s GPA. At the end of the student’s high school career, you’ll average the GPA for all eight semesters and list it on the transcript. This is called a final GPA. Of course, you can also use a GPA calculator to determine your student’s GPA. What is a Weighted GPA? Should You Use It? Maybe you’ve seen a GPA listed that was greater than 4.0. You likely wondered how that was possible. Both public and private high schools use either a weighted or unweighted GPA system. In a weighted system, a half to full credit more per class is awarded for honors or college-level courses. Every high school that uses a weighted GPA has its own system for assigning point values to grades and calculating the final GPA. Colleges know that this is the case and use their own formulas to standardize weighted GPAs. If you choose to use a weighted GPA system, you’ll have to send an explanation to the college of how you calculated the GPA. Instead, many homeschoolers opt for an easier method and use descriptive titles for courses that indicate the level of academic rigor. You can use different terms including remedial, average, college prep, advanced and honors. When combined with a cumulative GPA, these descriptive titles can tell admissions counselors a great deal about a student’s readiness for college. BONUS RESOURCE: Get our free dual credit e-book to learn how our family used CLEP exams to save over $300,000 on college degrees!